According to Strikeforce CEO Scott Coker, UFC gave boost to “Strikeforce: Diaz vs. Daley” promotion. This Wednesday, Coker told MMA site MMAJunkie, that the first Strikeforce commercial to air on a UFC broadcast made a big difference in ticket sales for the event. Executives believe that as the promo continues, it will drive higher sales when the final tallies are in. “We’re right around 4,000,” Coker said of current ticket sales. “Strikeforce: Diaz vs. Daley” will meet its spectators this April 9 at Valley View Casino Center in San Diego and airs live on Showtime. It will feature a fight between Strikeforce welterweight champ Nick Diaz and challenger Paul Daley. Both came from the UFC umbrella. UFC first aired a commercial for the event during last Saturday’s UFC 128 broadcast. 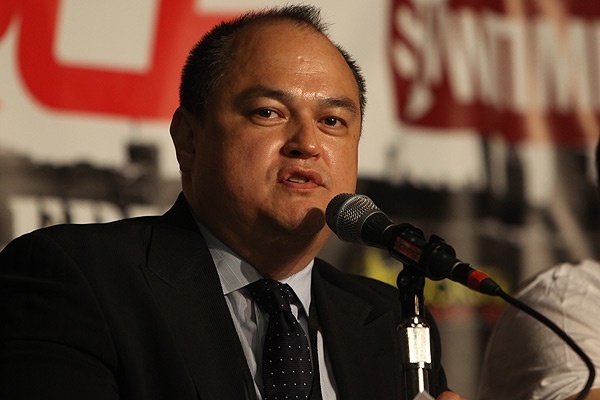 Coker said Strikeforce benefits greatly from the UFC’s stint on television and social media. “I think they definitely made an impact on ticket sales over the weekend as that commercial ran,” he said. “They have the ability to get the consumer that purchases MMA. As you know, their Facebook (page) has five million (friends), and their Twitter is 1.2 million. They just get to a lot of people really quick about events that are happening. And that could lead to bigger numbers in television viewer-ship and live attendance. “I believe this fight can do 8,000 to 10,000 people,” Coker said. Among its 46 events to date, Strikeforce has topped the 10,000 attendance mark just eight times.